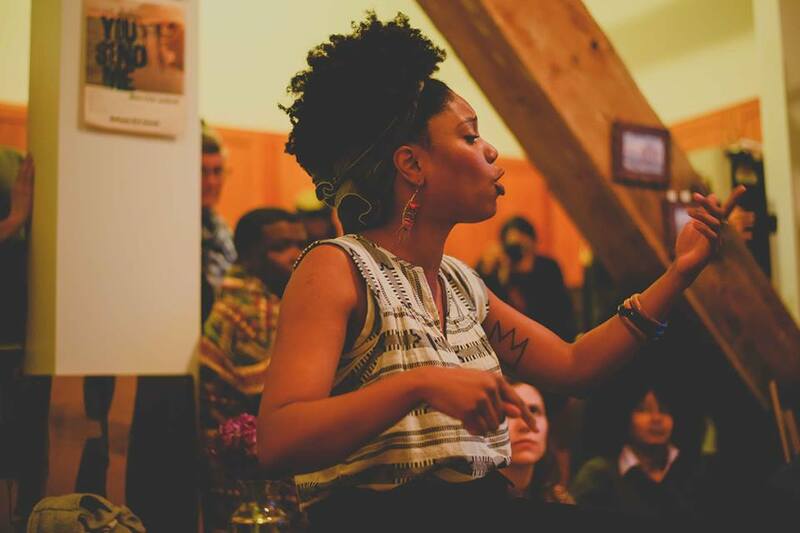 Chicago Home Theater Festival (CHTF) invites strangers into each other’s homes to share a communal meal, experience transformative art, and build intentional community across lines of difference. 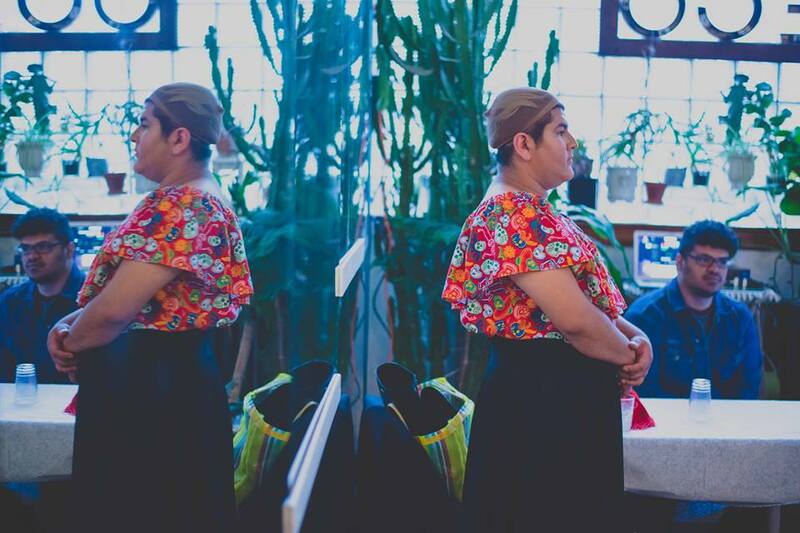 CHTF centers the leadership of women and femmes, artists of color, immigrants and refugees, LGBTQ folks, and artists with disabilities whose creative practice disrupts injustice and paves cultural safe passages across our hyper-segregated city. Since its inception in 2012, CHTF has organized over 500 artists and 5,000 neighbors in over 25 distinct neighborhoods and public parks. 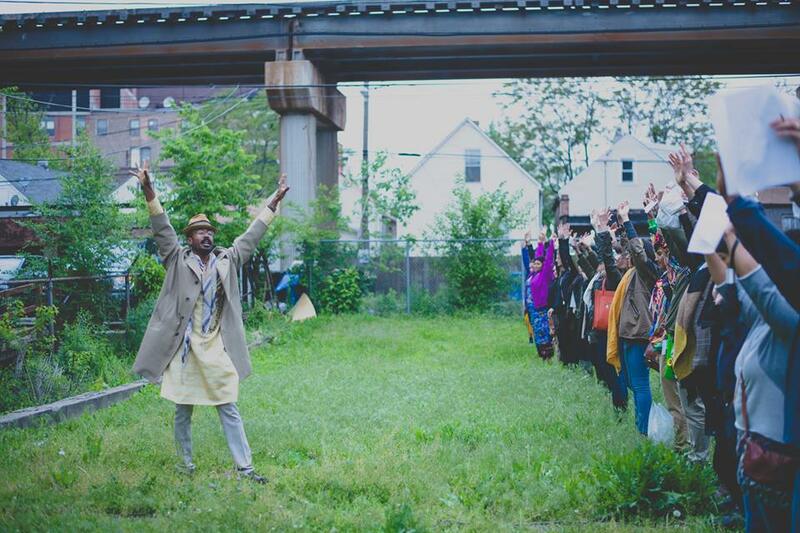 In its fifth year, CHTF is focused on three concrete goals: 1) building creative capacity within neighborhoods that have experienced disinvestment, 2) creating access for artists and audiences across the spectrum of race, gender, sexuality, and ability, and 3) curating performances and conversations that create possibilities for personal, social, and structural transformation. Every night we ask guests to turn to a stranger and share the story of their journey to the venue. We ask guests to see who is in the room and why — but we also ask who is not there: what physical, political, economic and cultural structures prevent or dissuade equal access to spaces. Not everyone can make it to our homes. Most homes in Chicago and in the festival are not accessible as outlined under the American Disabilities Act. So each night, in art and in conversation, we explore the ways by which culture and institutions shape how people navigate public and private spaces, and what we can do to create more access, inclusion, and justice. 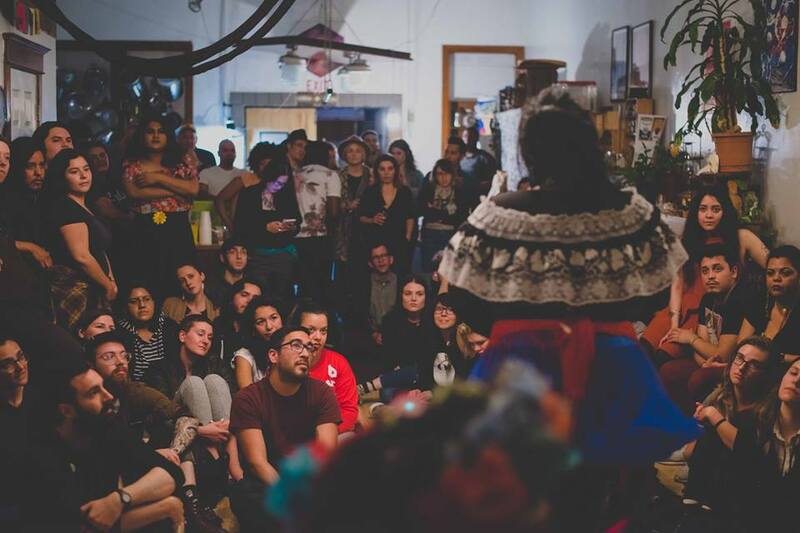 Over the past five years, CHTF has worked to build diverse coalitions of cultural producers, advocates, and organizers who are committed to redistributing creative capital in an equitable and just manner throughout Chicago. We aim to transform the cultural landscape of Chicago by creating spaces that honor marginalized groups and amplify their narratives and struggles. We choose to work in homes because we believe that art done and experienced in private, intimate spaces can transform how we relate to each other in our public lives. 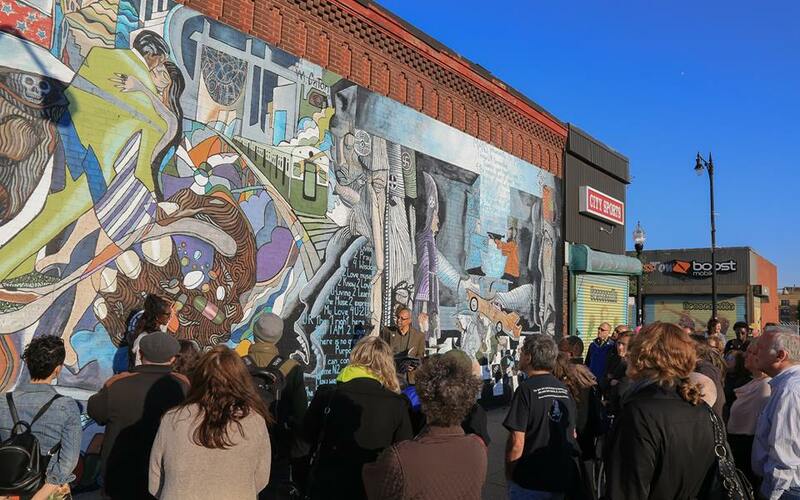 CHTF values knowledge-sharing between hosts, tour guides, artists, and audiences that center the histories, skills, and cultural practices of the local community. 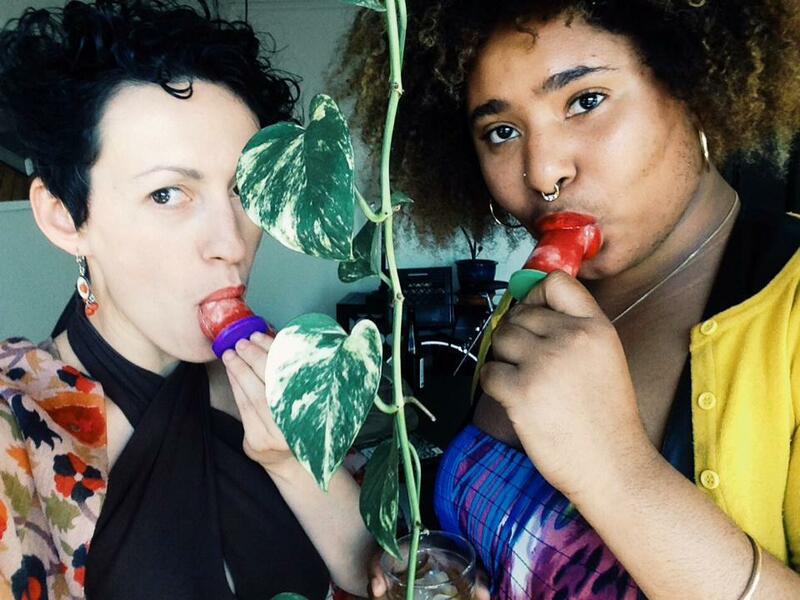 We privilege artistic producers, hosts, tour guides, and artists who identify as LGBTQ, people of color, women and femmes, migrants, and people with disabilities. CHTF believes in a holistic approach to accessibility with consideration to physical ability, mental health, as well as community safety. We believe in holding ourselves and each other accountable to the ways we fall short of our vision. The International Home Theater Festival was founded by Philip Huang in 2010 as a way to reclaim domestic space as a forum for cultural organizing. Launched in Berkeley, California it has since been produced in over a dozen countries across numerous continents. In the United States, The Chicago Home Theater Festival is the only organized effort to fulfill this mission while also addressing specific issues facing its home city. The Chicago Home Theater launched in 2012 by founding producers Irina Zadov, Blake Russell, and Laley Lippard with an intention to disrupt historically entrenched race and class divides and continues to re-imagine safety and accessibility. The arts have been at the heart of Chicago’s labor, immigration, civil rights, and other movements for justice and liberation. Inspired to continue this legacy, and once again put artists at the forefront of social change, CHTF founding producers endeavored to re-route Chicago’s creative maps by way of radical generosity. Chicago Home Theater Festival was made possible with support from Chicago Foundation for Women, Chicago Park District, Propeller Fund, Open Meadows Fund, Illinois Humanities, Museum Contemporary Art Chicago, Hyde Park Art Center, and hundreds of individual donors. Photography courtesy of ee edahahm and William Camargo.